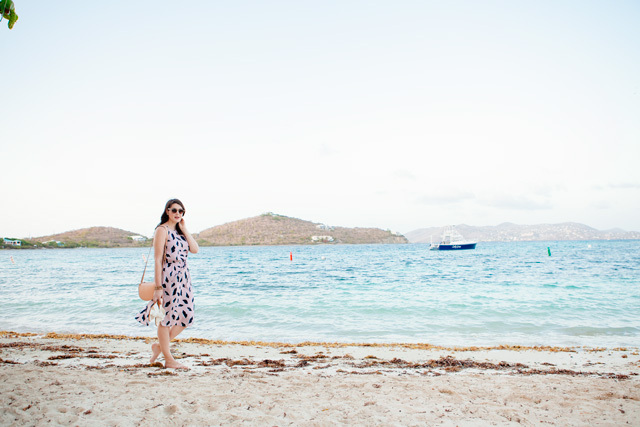 Last week, B and I headed to St. Thomas for our summer vacation. As someone who can count the amount of beaches I’ve been to on one hand with enough fingers left over to make an obscene gesture, I was SO excited to see a beautiful beach and beautiful clear waters. Was I scared of the clear blue water? Yes, yes I was. Did my husband drag me in and had to hold me like a baby into the ocean for a solid 5 minutes? Yes, yes he did. But once I realized I was not going to die in 4 foot waters, we ended up stand up paddle boarding and sailing in the bay like good tourists should. We ended up snapping these photos after dinner one evening. My leafy Loft dress fit in perfectly with the view. I always want to feel put together on vacation but not fussy. You know? I love to be able to take things on vacation that can work day or night (for my suitcase’s sake) and this dress fit the bill perfectly. And now I have a perfect memory of the beach in this dress. You can’t find a better souvenir than that. *Special thanks to Loft for sponsoring this post and providing this beach-inspired dress. Gorgeous! Love that dress and the beautiful beaches! Looks like you had a wonderful trip! Love your earrings! Do you remember where they’re from? Seconded! Obsessed with the sparkly ear cuff! So glad you guys had the chance to get away – it’s been so fun to live vicariously through all your instagram shots. Love the soft colors & pretty print of this dress – it looks comfortably chic! Such a gorgeous dress! I love the print. And it’s sure tough to beat a breezy dress along the beach! Love the print. Great outfit. gorgeous photos and location, love them! I’m such a beach junky! Not a fan of going in the water, but love being by the water. Sounds like you had a great vacation! It is hard not to fall for the beach. Lovely dress! I live in St. Thomas and hope you enjoyed your visit! I love that dress! Beautiful. I’m a little afraid of going in the water, but I do love going to the beach. I love the pattern on that dress and it’s such a cute piece to wear to the beach! You look stunning Kendi! I like your dress a lot, it has such an interesting print! Such a lovely dress! A totally wearable vacation look-polished and casual. And now I’m seriously wishing I was at the beach…..
Love your earrings! Do you remember where they're from? I LOVE that dress on you! And LOVE how long your hair is getting! So glad you guys had the chance to get away – it's been so fun to live vicariously through all your instagram shots. Love the soft colors & pretty print of this dress – it looks comfortably chic! Such a gorgeous dress! I love the print. And it's sure tough to beat a breezy dress along the beach! Wow that beach! Thats a colorful dress! I'm such a beach junky! Not a fan of going in the water, but love being by the water. Sounds like you had a great vacation! I'm a little afraid of going in the water, but I do love going to the beach. 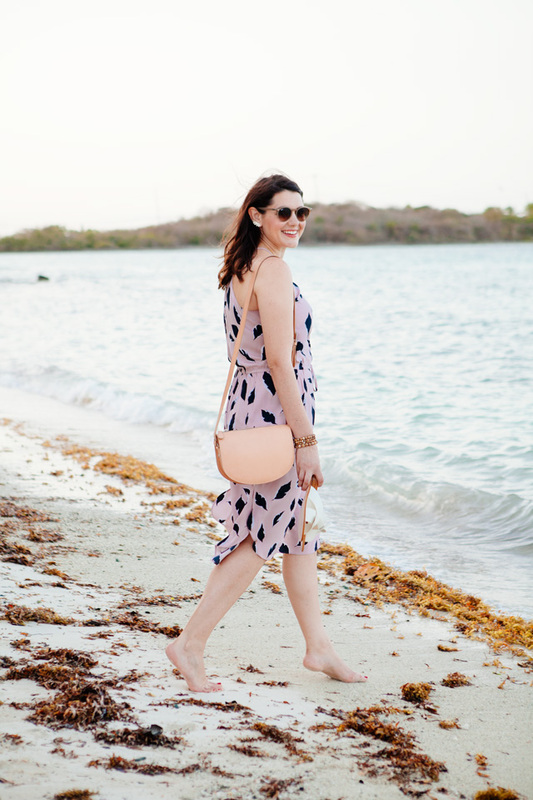 I love the pattern on that dress and it's such a cute piece to wear to the beach! Such a lovely dress! A totally wearable vacation look-polished and casual. And now I'm seriously wishing I was at the beach….. This dress looks so good on you! Lucky lol it doesn’t look good on my skin tone at all. Those are gorgeous photos. Looks like you had a great, well-deserved vacation! This dress looks so good on you! Lucky lol it doesn't look good on my skin tone at all. Those are gorgeous photos. Looks like you had a great, well-deserved vacation! I have recently fallen in love with the beach too although I don’t use to visit often, the sea has such a calming effect! Lovely dress by the way, the leaf prints are so trendy this season! Beautiful! It never fails to amaze me how good you look in every single color! Love the blush on you. Such a cute dress!! I love the hemline!! Such a pretty beach! I love your breezy dress and I hope you have a wonderful relaxing vacation! I like how the dress looks on you; perfect! I love this dress! 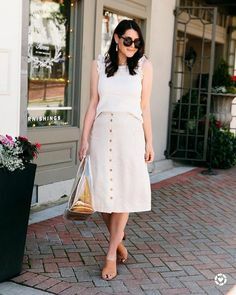 So cute and looks great on you! I have recently fallen in love with the beach too although I don't use to visit often, the sea has such a calming effect! Lovely dress by the way, the leaf prints are so trendy this season! Love that dress! It looks so good on you! And it goes perfectly with that pretty beach! Gorgeous look for a beautiful backdrop! That dress is a perfect summer piece, I love the subtle color and the pattern. Beach vacations are the best! Glad you’re having fun! Beach vacations are the best! Glad you're having fun!